I hate the word "drinkable." Anything is drinkable as long as it's liquid and can be transmitted somehow into your mouth, but I understand and appreciate what is meant by the word "drinkable." Which is why I prefer the word digestible (a word favored by the Trappists, which in turn makes it good enough for me without any further explanation). Being digestible is probably the most important quality towards moving a beer from the interesting and/or well balanced arena, into the classic arena of great beers which are purchased and imbibed chronicly. Being digestible means that despite great flavor presence and complexity the beer remains palatable. It can be given very little attention or studied eruditely with equal reward. The mark of a truly great beer is when it meets the above criteria. 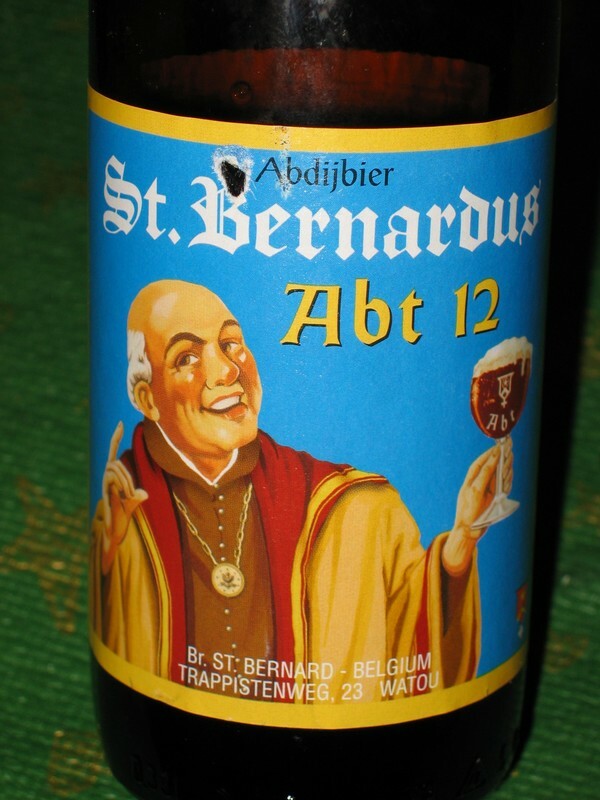 Saint Bernardus Abt 12 is on old favorite of mine which superbly embodies the aforementioned quality of degestibility... Legend has it they derived their yeast and the base-recipe from Westvleteren abbey. This is not uncommon among Trappist breweries as they seem to have a long tradition of collaboration as revealed by Stan's book "Brew Like a Monk," which I highly recommend for any brewer interested in learning more about this style. Here is Brian and my comments and thoughts on the beer Saint Bernardus Abt 12. We hope it inspires you to go out and try it if you haven't before.